What's more fun than having a BIRTHDAY PARTY every day? In this special birthday celebration, kids are invited to learn through play! 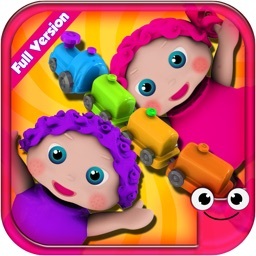 Bright cheerful colors, sound interaction, touch controls, and sensory play make learning easy and fun! Unlock 10 Fun Educational Games & Remove Ads. 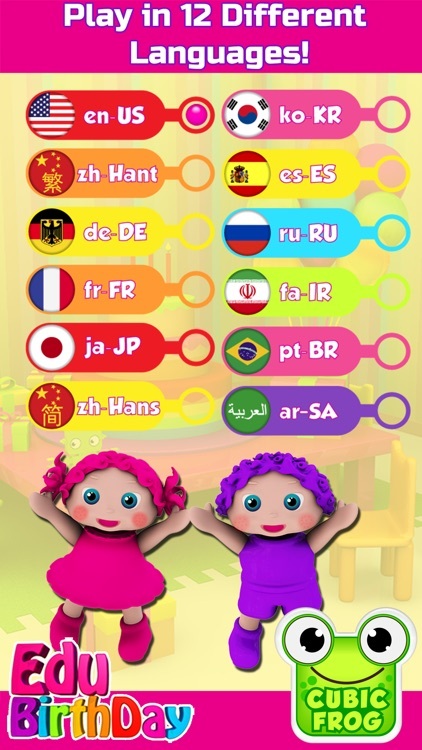 English, Spanish, Arabic, Russian, Persian, French, German, Chinese, Korean, Japanese, Portuguese. •Play Birthday Song -Tap on the notes and learn how to play birthday song! •Spell Happy Birthday- Make this alphabet puzzle and learn spelling! •Animal Birthday- Put a candle on a birthday cake for your favorite animal! 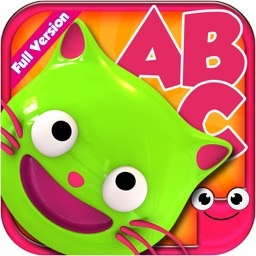 •Learn Colors - Inflate colorful balloons and give them to a cute panda! 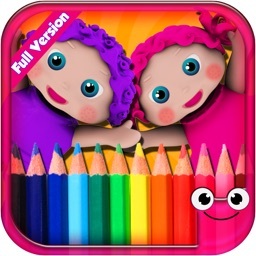 •Find Twin Kids- Yes, we have lots of twins in our birthday party, can you find them? 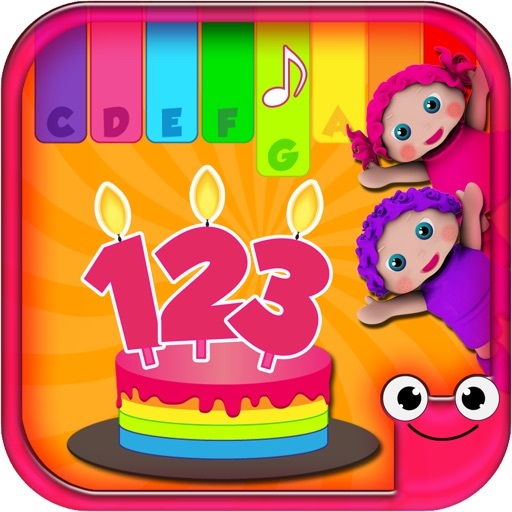 •Learn Counting- Count the gifts, birthday hats and all the candies! •Learn Sorting- Sort colorful lollipops in party bags! •Find the Oldest/Youngest kid - Do you know know who is the youngest? •Fruit Games- Slice all the jumping fruits and sort them in fruit bowls! •Photography- Be a photographer and take photos of children in a photo booth! √18 Different Unique Educational Games And Quizzes! √Voice Over in 12 Different languages! √Unlimited Play and Innovative Rewards System!